This winter is hitting hard. While the coastal areas are pounded by blizzards, Vermont has been locked in a deep freeze. Between January 2 and January 26, the temperature never reached the freezing point. In fact, last weekend, the temperature plunged well below zero, with most areas reaching -20F and even the thermometer near my relatively warm window reaching -15F! On January 26, the temperature in much of the Champlain Valley rose to 33 F for around an hour, then dipped below freezing again. It isn't likely to break the freezing point again any time soon, either. This cold weather, following a period of substantial snow, is perfect icicle weather. Icicles on roofs usually form when snow is melted when the air temperature is below freezing, due to sunlight and/or heat leaking through from inside of a building. As slow water in the most literal sense, icicles very visually illustrate where water flows from the tiny watersheds of roofs. After seeing some road ice along a Pennsylvania interstate that someone had somehow colored, I decided to try something similar with icicles! 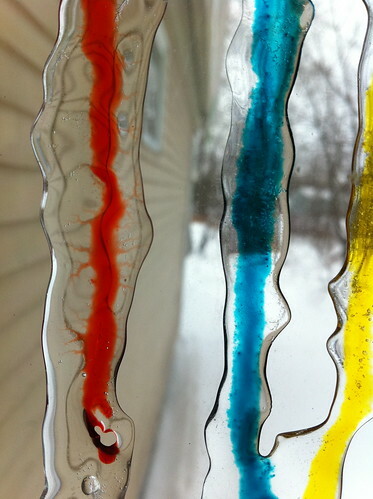 I've started a project where I drip biodegradable food coloring on icicles. This serves two purposes: to make people notice and think about the water in icicles, and to let me see how and where it is flowing through these ice formations. The first thing that I noticed was that water travels through ice faster than expected. 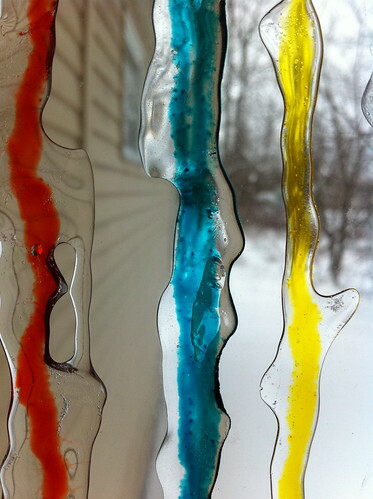 I put food coloring on the icicles above each morning as I walked by them on the way to campus. By the next day, when temperatures were at least in the 20s, most or all of the color was gone! 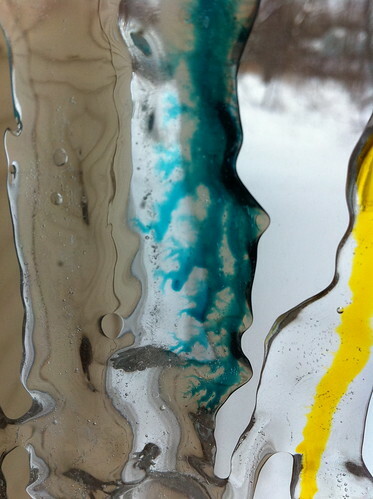 (During the times of subzero temperatures, the icicles did not grow or lose color but instead shrank, probably due to sublimation). I also found an ice formation that was forming right on a window. This allowed me to watch water moving in cross-section. I was amazed by the winding, treelike paths the water followed as it was propelled along the ice formation via gravity and surface tension. 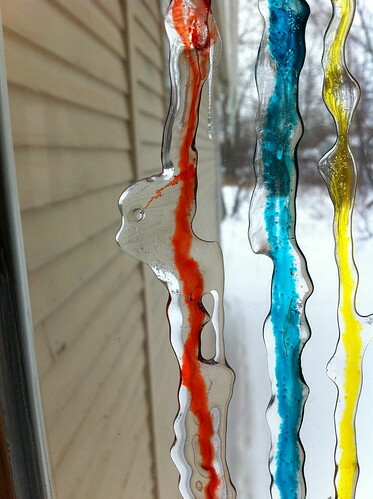 I'm hoping to try this on more icicles in different situations. 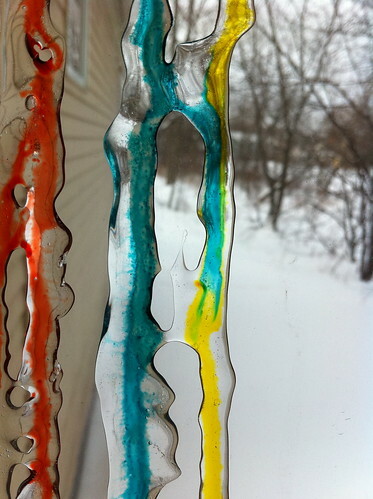 If you see a colorful icicle in Burlington or Middlebury, perhaps I put food coloring on it! Or, try the experiment yourself. It is cheap, and easy, and adds a bit of color to the darkest days of winter. What a neat idea! I really like how it serves both a scientific and an aesthetic purpose. Thanks! 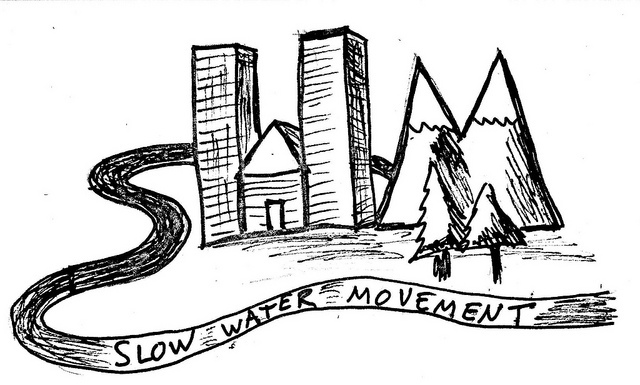 This may be the funnest thing I've done for this blog so far.